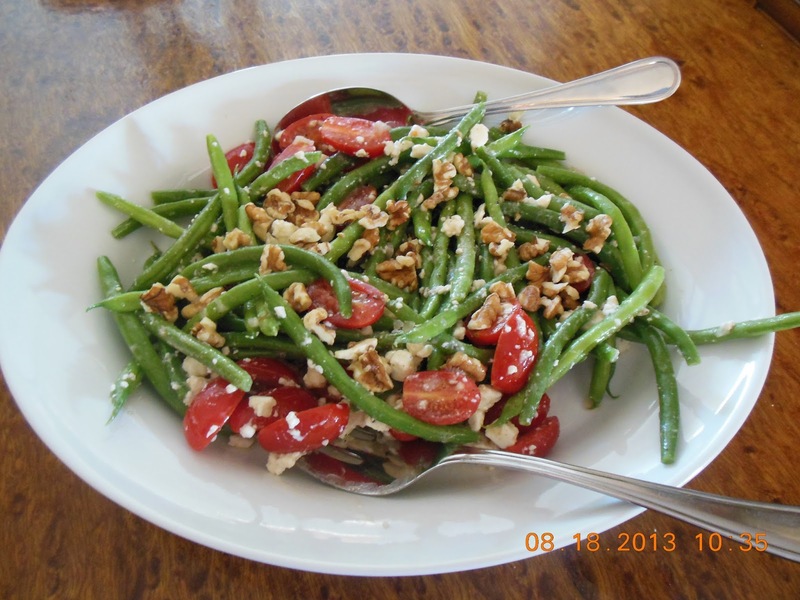 Fresh Green Bean Salad with Tomatoes Feta and Toasted Walnuts - Our Sunday Cafe, the Retirement Edition! That is a long name for a salad............but this is a salad worthy of a long name, it is delicious! 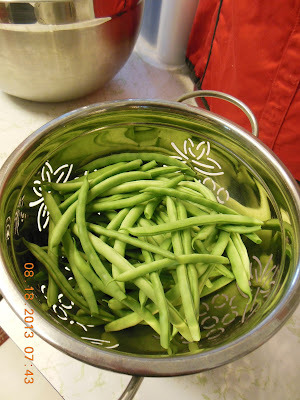 We have green beans coming off the vines daily. I have processed many packages for future meals. There has even been a second planting started. 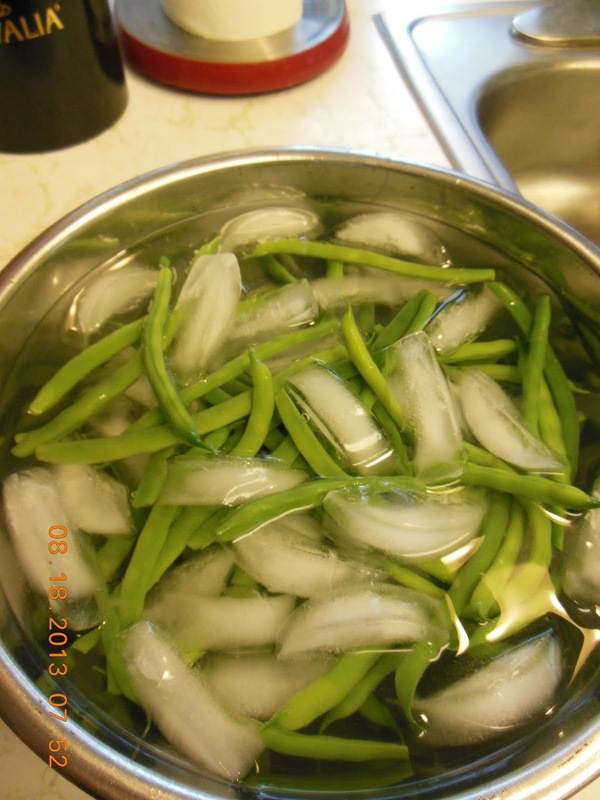 Today instead of preparing this picking for the freezer, I decided to make a refreshing salad. 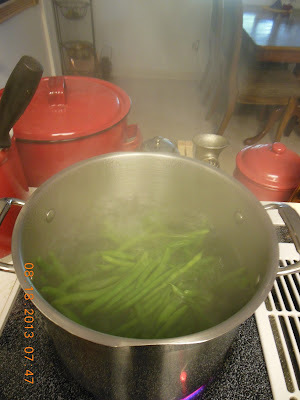 Add green beans, recover with a lid. Stand and watch pot, as soon as a rolling boil is reached, remove lid. Let boil, stirring to keep beans moving. 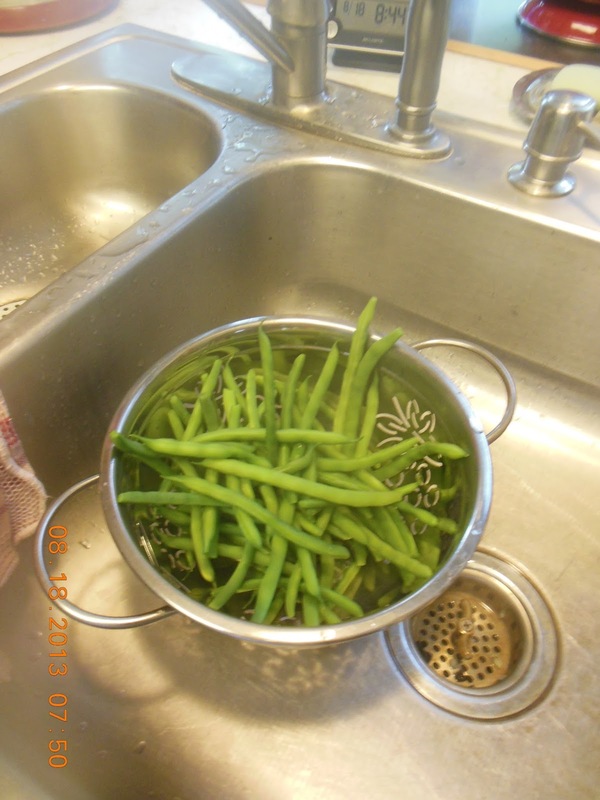 Cover beans with ice and cold water to chill quickly. 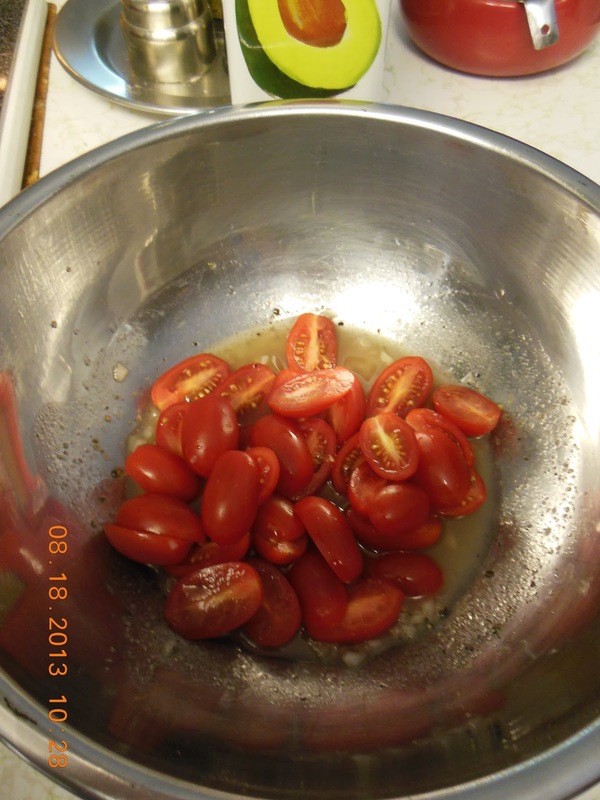 Combine dressing ingredients in a large bowl, add tomatoes, stir to coat the tomatoes with dressing. 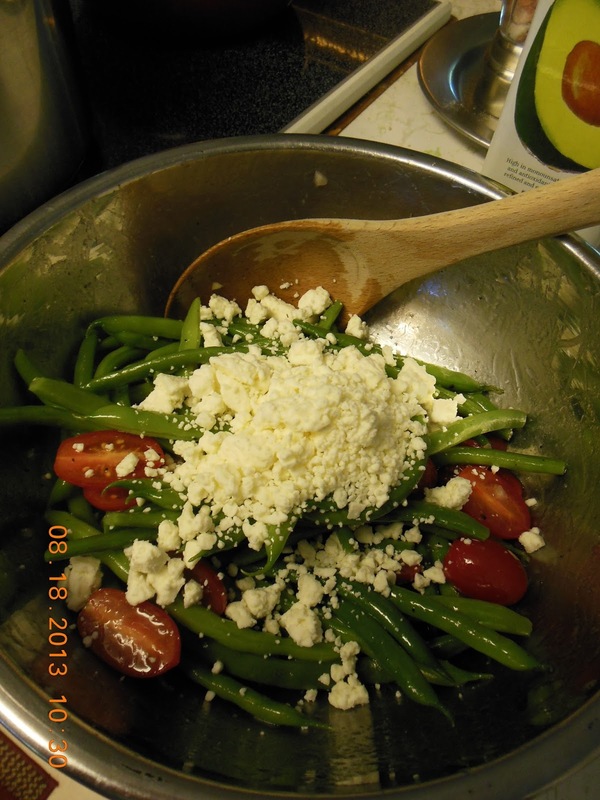 Add Feta, stir on more time. Arrange on serving platter, scatter walnut pieces over the top. 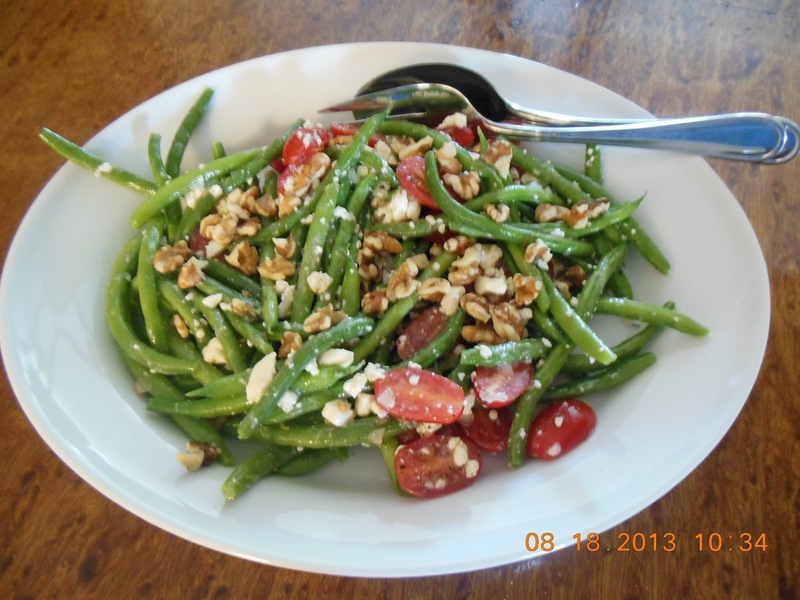 Here are additional green bean recipes you may enjoy! 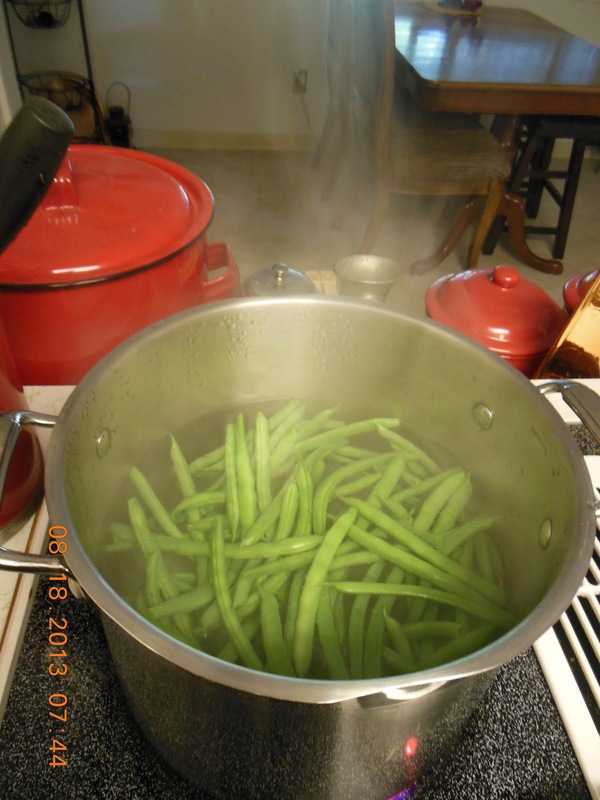 Green Bean Cobbler, AKA "the other green bean casserole!" Beautiful green beans. Fantastic that you are harvesting everyday and planting more. And what a scrumptious looking salad. What a lovely salad! Your green beans look scrumptious. I like that you have used avocado oil in the vinaigrette. This looks and sounds delicious! We have green beans growing in the garden, so I'll bookmark this recipe for sure.